The new buttermilk fried chicken sandwich consists a fresh chicken beast, hand-breaded with buttermilk batter and perfectly fried. 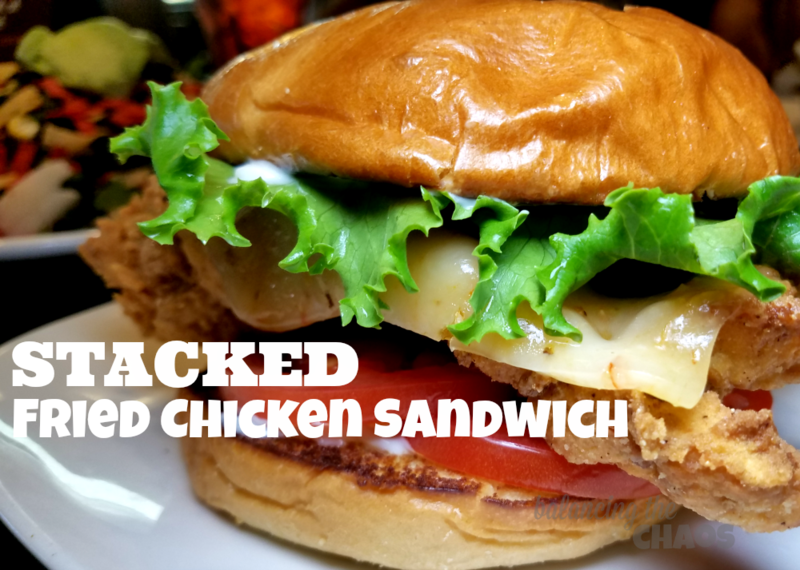 Now stack this delicious chicken on a brioche bun with all of your favorite toppings like pickles, onions, lettuce and you have perfection. My hubby and daughter decided to sample this sandwich with the ghost cheese, which is tasty with a mighty spicy punch. Stacked has amazing flatbread appetizers, so I decided to order the Sweet and Savory Harvest flatbread for us to split. 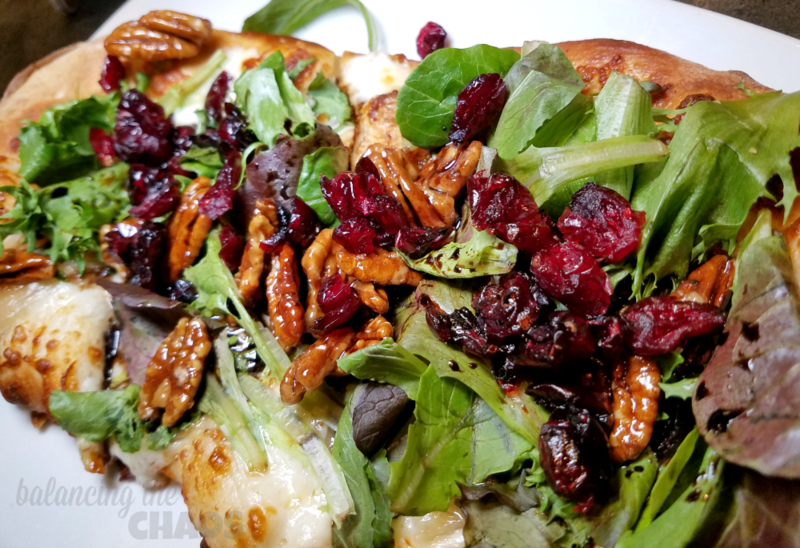 This delicious appetizer consisted of mozzarella and gorgonzola cheeses, caramelized onions, spring lettuce, dried cranberries, candied pecans and a fantastic balsamic glaze. Amazingly, both of my kids LOVED it! A family favorite. My kids LOVE Mac n Cheese, but have you ever stacked one? 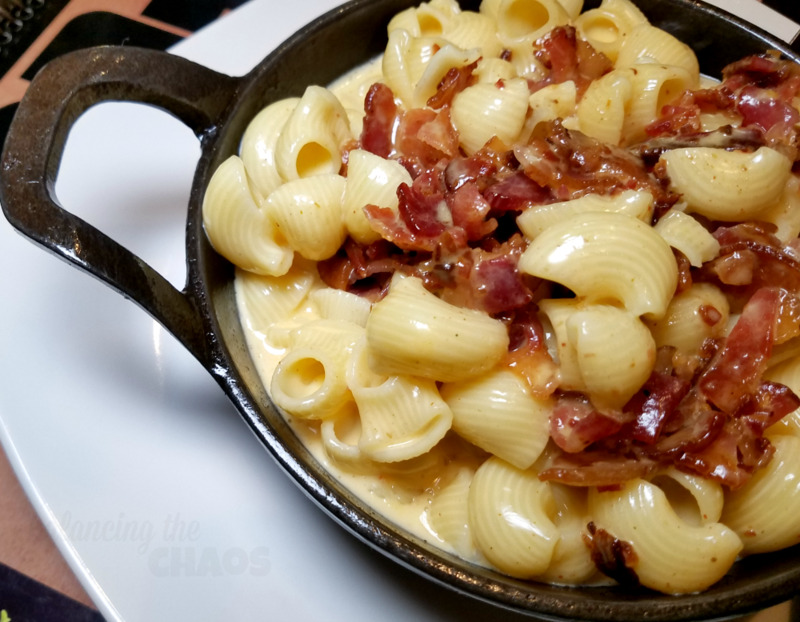 They decided to order the basic Mac n Cheese entre and add a little Applewood bacon. My goodness, a winner! You’ll have to try it. I had a delicious salad, and my son had his own Stacked burger, but we finished the meal with a fantastic new dessert that simply fantastic! 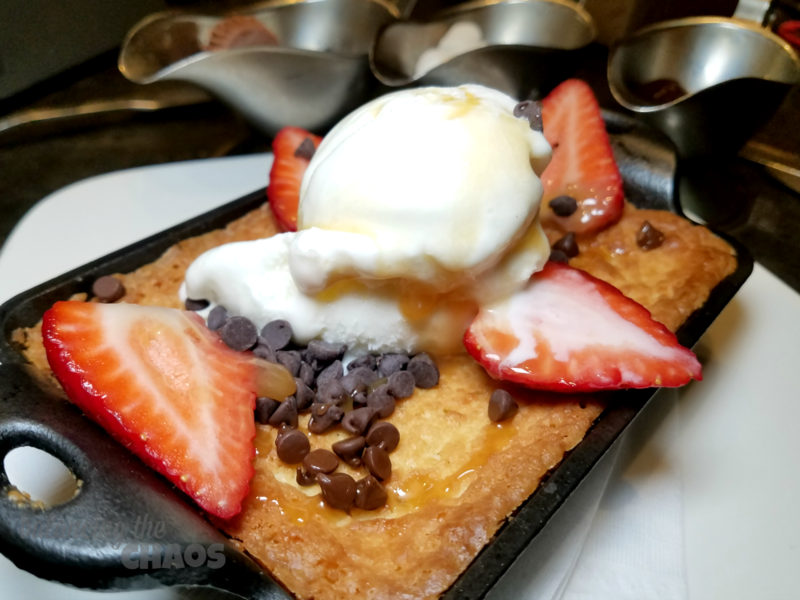 The Skillet Butter Cake (only available at the Huntington Beach location) is a deliciously moist sweet cake baked to perfection with a little bit of a crispy edge. As with the theme of Stacked, you can “stack” your Skillet Butter Cake with our favorite toppings. My family took over and ordered vanilla ice cream, strawberries and chocolate morsels. On the side, they added Recesses Peanut Butter cups, Chocolate Fudge and marshmallows. The cake with a hint of ice cream was enough for me. I literally couldn’t stop because it was the best thing ever! If you’ve got a sweet tooth, you’re going to LOVE the new Skillet Butter Cake like we did. Stop by your local Stacked soon and dive in to these delicious dishes. You can check out the menu at http://www.stacked.com/ and order online for pick up. Disclaimer: We were invited to a media tasting to share our experiences of Stacked and invited for a return visit. All opinions shared are completely my own. This is mouthwatering! I think I have to try it.